This easy sewing pattern for baby booties is a downloadable file that comes with printable pattern pieces as well as step by step instructions with photos. 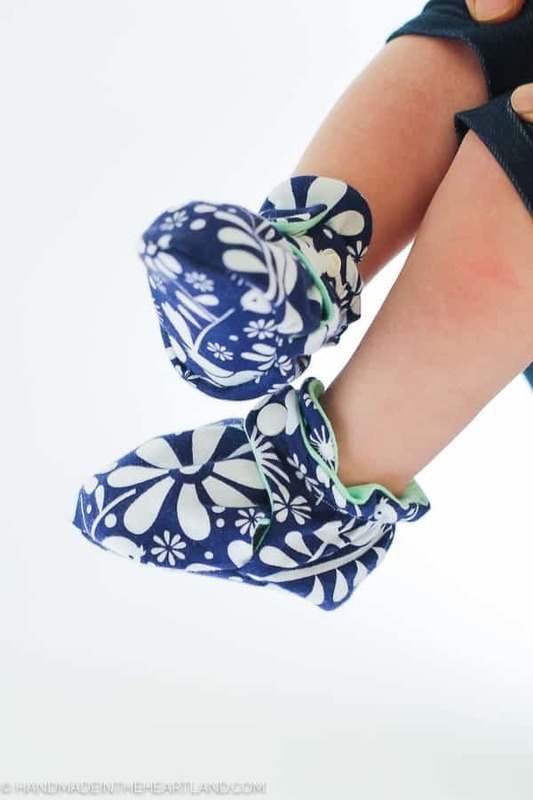 This baby booties pattern for sewing is a downloadable file that comes with printable pattern pieces as well as step by step instructions with photos. The baby booties fit size 0-6 months infants. They are the best baby sock or shoe you’ll make! Because of the elastic around the ankle they don’t fall off! This is the ad-free, printable version from the original blog post for the Baby Booties which contains a full video tutorial to help you as well.